The continued violence has disrupted our national life in every way possible. Our people are being killed and burnt everyday and panic of insecurity overwhelms every sector of public life. Frustration is more acute among the people when in the midst of unaccountable loss of lives and untold miseries, the known and admitted political solution is evaded for justifying two way terrorism by resorting to police excesses. Everyday, we are reminded by sections of business community and members of civil society how grave is the situation in terms of loss of human lives and damage caused to the national economy. Blaming everybody else without demanding the right solution of free election as promised by Prime Minister Sheikh Hasina herself is hypocrisy fraught with dangerous consequences. In a badly divisive politics condemning street violence and not condemning arbitrary denial of election cannot be sensible for peace. Sheikh Hasina said it more than once to calm the movement then that the one-sided election of 5th January last year was merely a 'constitutional formality' of holding the election within time. A fresh mid-term election would be held in consultation with all the political parties. 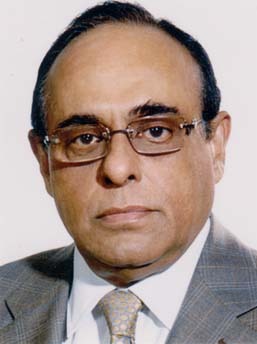 Because of the Prime Minister's clear and categorical assurance to the nation of a full-fledged election later, the opposition parties including the major opposition party BNP waited for a year allowing her time to announce the date for holding an inclusive election. Now every excuse is given from the government side for not having any dialogue with the 'enemies and terrorists' meaning the BNP led 20-party opposition for the election. They are also branded as not being real liberation supporters. In short, the government supporters are not ready to accept that the voter less election of 5th January is offering no legitimacy to the government itself. Might and right government is encouraging might and right forces all over the country. The crimes are increasing when police are busy fighting the political battle of saving the government. In one day last Saturday, 7 persons got killed through burn. The raging violent confrontation is causing deaths of people and destruction of properties throughout the country everyday resulting from petrol bombs and repressive police action. The security officers have been given a complete free hand to use maximum force with the impunity offered by the Prime Minister. It is so tragic that over no new issue but the promise of fresh election given by the Prime Minister, the country is facing a civil war kind of self-destructive situation where the police power and not the political leadership is dominating. The innocent people are most helpless and easily harassed by both sides. The dangerous allegations are heard but not uttered for fear of safety. So all the violences, killings and sufferings leading to the situation of a dysfunctional government can be ended by the Prime Minister Sheikh Hasina herself on her own at this very moment without the need of any dialogue. A former bureaucrat and a close political adviser to the Prime Minister has suggested openly to prepare for the real war. The question why the people will have to face an armed war for their demand for election as promised by the Prime Minister. The 1971 type of liberation war is being threatened forgetting that war of liberation was the people's liberation war for democracy. This is not unknown to the world. The government does not care to be worried that force against force has plunged the country in a two way terrorism and that is not the way to end terrorism or violence.The situation is too dangerous and too unsafe by all accounts. According to the Finance Minister, the opposition's blockade has crippled the local administrations. He has feared dire consequences for the country's long term economic prospects. The world is worried for the horror being perpetrated on our people over the issue of election so to save the much cherished democracy in Bangladesh. There has to be some undisclosed reasons as to why election must not be held no matter what is cost to the people and the country. It is a positive assurance that the United Nations will be in touch with both the leaders such as Sheikh Hasina and Begum Khaleda Zia to make sure that they can resolve their differences. It seems even the well-meaning eminent citizens of our country, in their late stage collective efforts, feeling so helpless and confused that they are seeking President Abdul Hamid's help to initiate a national dialogue as if he (the President) has any impartial role to play. Only other day, he along with the Prime Minister asked security forces to do everything possible to control the situation. We wish them success, in the hope they know what they are doing. They should better be straight in urging the Prime Minister to hold the election as pledged. Our human rights organizations are also playing it safe. They criticize burning and killing and mindless destruction and wishfully ask such violations of human rights to end. But they will also not say that the real solution lies not 'in the real war' but in the real implementation of the promised fresh election. We urge the Prime Minister to do what is her supreme duty to allow the people to live in peace and security. Let nobody be so reckless to fight a war with the people. Surely, they cannot expect people's police fight the war on their behalf. No dialogue is necessary for the Prime Minister to keep her election promise given on her own to the nation and restore peace in an honourable way. If the election promise is not honoured then there will be no foundation of trust for any understanding between the government and the opposition when meaningful dialogues will be necessary.